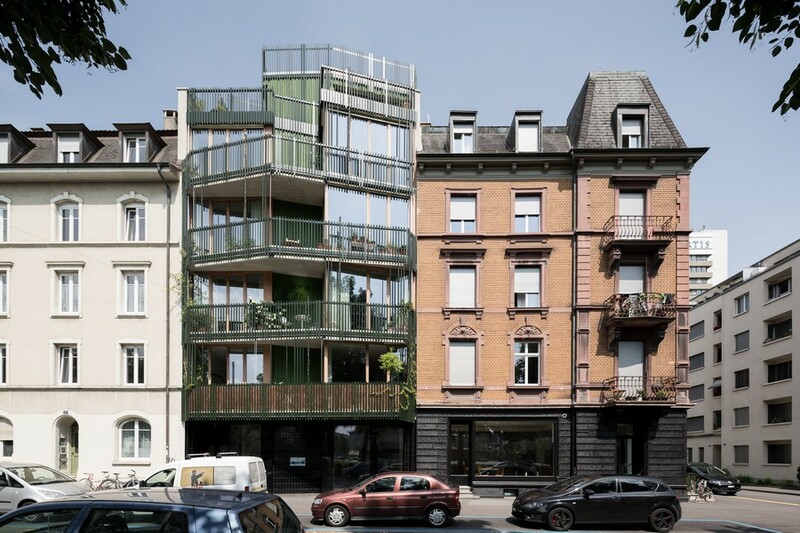 One of the qualities of the residential and industrial area of St. Johann in Basel is the close coexistence of old and new buildings. This coexistence is kept and emphasized in this project, only one of the four existing houses of the corner parcel, Lichtstrasse 9, has been built anew; while others, Lichtstrasse 11 and Kraftstrasse 1, have been renovated and benefit from the newly built infrastructure. A new staircase and an elevator have been introduced in the courtyard to create a direct access to the old houses and the old staircases were demolished in order to gain floor area. The new measures raise the desirability of the old houses and the ability to keep and lease the existing houses in the future. In the interior the new building is connected to one of the existing ones to allow spacious apartments orientated to all four sides.